VAV, 4th mini album 'THRILLA KILLA’ iTunes 5 countries K-pop album chart TOP10. VAV made a comeback at noon on 19 with its fourth mini-album "THRILLA KILLA," is setting an amazing record a day after its comeback. VAV's new mini-album "THRILLA KILLA" was ranked No. 1 in Hungary, No. 2 in Spain, No. 4 in Brazil, No. 6 in Canada and No. 7 in total in the U.S. as of 8 p.m. on 20, and is also ranked among the top 10 countries worldwide. the album and the title track "THRILLA KILLA" with the same name are ranked sixth on the top U.K. iTunes SONG chart, and YouTube views of the music video are also attracting attention with 2 million views a day after its release. 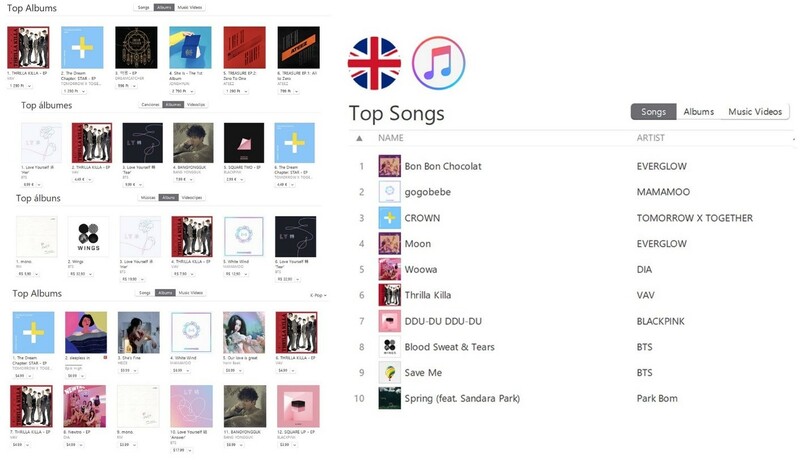 It is especially noteworthy that they are on par with prominent artists such as music strongman Epik High, Park Bom, Heize and Black Pink, including global star BTS, who made it to the top of the released chart. VAV, which has been active since it successfully wrapped up 28 world tours in 23 cities including the U.S., Brazil, Europe, Japan and Thailand last year, recently proved themselves as global hot-rookie power by reaching the 2016 VAV 2019 MEET&LIVE SENORITA LATIN TOUR. This album is even more meaningful as it contains the first self-produced songs of VAV members, who have grown even more through their overseas activities, and attention is being paid to the hot moves of those who have shaken the hearts of fans at home and abroad with their deadly Homme fatale charm. VAV made a comeback after releasing its fourth mini-album "THRILLA KILLA," will appear on various music shows to continue its active activities.